In my recent song selection I played two covers, the first being BADBADNOTGOOD’s cover of three Legend of Zelda pieces. I assumed that most people would recognize the beat of the old video game classic, even shrouded in a layer of smooth jazz. When I played the song, the idea of a cover culture dug at me. Every month I see a new remake of a movie and wonder whether Hollywood degenerated. 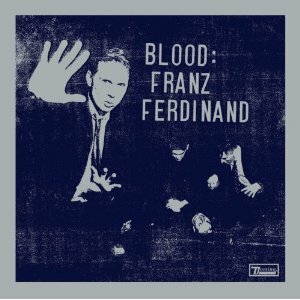 I remember discovering Franz Ferdinand and feeling irritated that after only three albums, they produced a remix album called Blood. Unique pieces felt discombobulated by a mesh of mash ups. I felt angry that The Killers made their cover album Sawdust after three albums and then announced that they intended to do more covers. I wondered if these bands weren’t just throwing in the towel, caring too little to shell out something new. Blood and Sawdust. How timeless. Despite all the resentment I felt for cover culture, I played two covers on air because I cannot bring myself to reject covers, reworks, remixes, remakes or re-anythings outright. I love the way BADBADNOTGOOD smoothed the edges of a classic video game theme. The old styling of Jazz hyperbolized the beautiful nostalgia of a tune that already brought me years back. The way the instruments smoothly slid over the flashy eight-bit notes gave the song a sunny and calm feel that made all that nostalgia hit harder. I wanted to play something original to BADBADNOTGOOD, an original creation of any band. Nothing, even elsewhere in BADBADNOTGOOD’s collection, could send shockwaves of materialized memory ringing across my appendages, like those remade Legend of Zelda themes did. In my mind that made BADBADNOTGOOD’s remake as unique as an original work. So much of a piece of art boils down to the effect on the beholder, and plenty of original works never sounded so stirring. I played The Bad Plus’s cover of Tom Sawyer for the same reason. Tom Sawyer brought me into my musical identity. I remember getting struck by Tom Sawyer’s stupefying speed and rhythm long before I got into progressive rock. When Bad Plus played that song, they preserved the frantic rhythm of the original version and converted so much of it into a sound all their own, versed with a unique sense of drama as they built up to let the rapturous roll of the drums explode outward. Once again the wash of memory surrounded me, and I congratulated covers on eviscerating emotions and provoking ponderings in a way other works cannot. It is easy enough to judge the validity of a remake based off its merit. Blood sounded cheap and dull to me, so I dubbed it invalid, while Sawdust sounded better than some of The Killer’s original stuff, so I could at least say it wasn’t a waste. But I found a profound danger in that line of thought. Covers held more to them than their merit. Covers carried the banner of the past and more importantly of authority. Authority can restrict knowledge, talent and reason into the arena of the dull, or it breed something intriguing and new. The covers and remakes often sink underneath our skin because we recognize what they can take away. 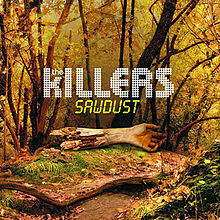 Sure, Sawdust sounded pretty good, but what if The Killers used those influences to create a unique album? Even if the remake of red dawn turns out to marvelously, the money used to make it could have funded an original idea. We do not face a new issue. 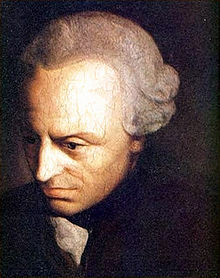 Even back in Enlightenment Europe Kant thought the authority of ideals kept people shackled in tutelage, restrained from ideological independence. Kant’s worries about tutelage are not entirely comparable with our worries about remakes, but it does show that even centuries ago we were worrying about this urge to copy the past. Little known fact: Kraftwerk is Kant’s jam. The cover shelters no special sin in its unique anatomy. The remake and the remix only highlight an age old fear of a culture coated in the authority of the old. Fighting all remakes or even remakes of recent works is not valiant or fair. After all, original works do not escape the script of the past. As humans the past shaped us, so of course we haul the past into the present. History figuratively repeats itself every day. The repetition does not teleport us back to the seventies; it just lets us walk through the important bits and pieces of it. I played two covers because in trying to move forward, I am walking back through the romanticized decades as much as anyone else is.